At dhealth, we provide dental consultation services tailored to your requirements. 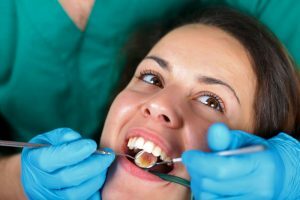 From comprehensive and periodic oral examinations to limited assessments designed to provide solutions for acute problems, we have the range of consultation services to suit every need. Regular dental check-ups offer a myriad of potential health benefits. Far beyond providing the professional clean recommended for optimal oral health, routine dental consultations often act as a buffer against the onset of diseases which affect the rest of the body. Gum disease, in particular, affects a significant portion of the Australian population, and can point toward health conditions throughout the rest of the body including cardiovascular disease and osteoporosis, amongst others. When visiting dhealth Dentistry, you’ll have the option to choose the sort of dental consultation service that best suits your needs. Beyond these consultation sessions, of course, we offer a full-service array of treatments and procedures. These branch from cosmetic dentistry to orthodontics, gum disease treatment to all of the in-betweens of general dentistry. If you haven’t been to the dentist for quite some time, or if you’re concerned about the deterioration of your oral health in multiple areas, this thorough evaluation of the entire state of your dental health will provide the clarity all parties need. At our disposal are best-in-class methods and technologies to determine the optimal path toward your continued oral health and wellbeing. The periodic oral examination is what you might recognise as your general dental check-up. Generally speaking, periodic oral examinations are recommended only after we’re able to gain an exhaustive understanding of the state of your oral health via the comprehensive examination. However, a periodic assessment offers much more than a necessary scale and polish. At our disposal are x-rays, along with a variety health-check procedures and preventative tools to secure your oral health. Recommended to identify acute problems you may be experiencing; the limited oral examination allows our dentists to determine the full array of solutions applicable to your individual situation. Whether you’re dealing with an erupted wisdom tooth, dental emergency, or the unexpected loss of a filling or crown, the limited oral examination is designed to get you on the path to dental health as soon as possible.